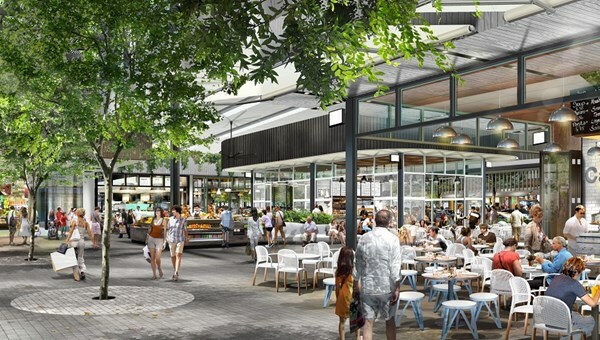 AN OLD idea recycled on the Coast with modern flair will demonstrate the future of retail hubs in Australia, according to an industry boss with 35 years experience. Stockland group executive and CEO of commercial property, John Schroder, touted his company’s Birtinya Town Centre as a shopping blueprint for the future. 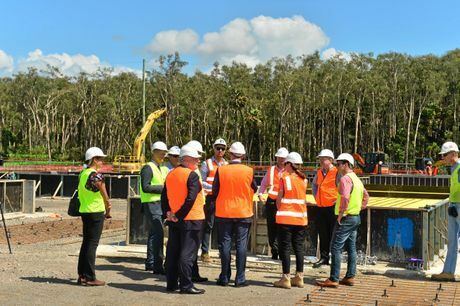 He toured the Kawana Way site on Wednesday morning. His company operates 40 shopping centres spread across Queensland, New South Wales, Victoria and Western Australia. His links with the Coast date back to the late 1980s, when he was involved in developing The Sands Shopping Centre at Maroochydore. It has since changed into Sunshine Plaza. The concept reminded him of Top Ryde Shopping Centre in Sydney, which he believed was one of Australia’s first. “It opened in 1957 and it was outside. “It was a meandering walking strip and over time they became fully enclosed.” Mr Schroder said American shopping centres had been “ahead of the curve” in the way they integrated with other aspects of living, such as residential. He said development of a residential component to Birtinya Town Centre was probable in years to come. He also said integration with facilities like childcare would also become more common. “But even the larger ones (centres) over time will start to exhibit more of this type of characteristic than necessarily the designs of 25 or 30 years ago where the architect would simply draw a fairly linear mall, sometimes two levels, sometimes one, anchored by, back then, two or three department stores and maybe two supermarkets. “It was fairly predictable. He said that was due to customers having online access to shopping seven days-a-week and the fast-changing nature of retail.